Also, I have a long torso and want to do a fifth round of the lace like I have seen others do. However, I am worried that I may run out of yarn. I am working with the South West Trading Company Bamboo. I bought three skeins, so I hope I will have enough to do an extra repeat. 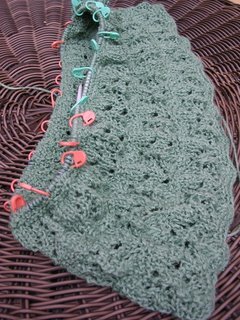 I am five rows into my fourth lace round and am getting close to finishing my first skein of yarn. Did anyone knit the 39" size with this yarn? If so, how much yarn did you have left over? 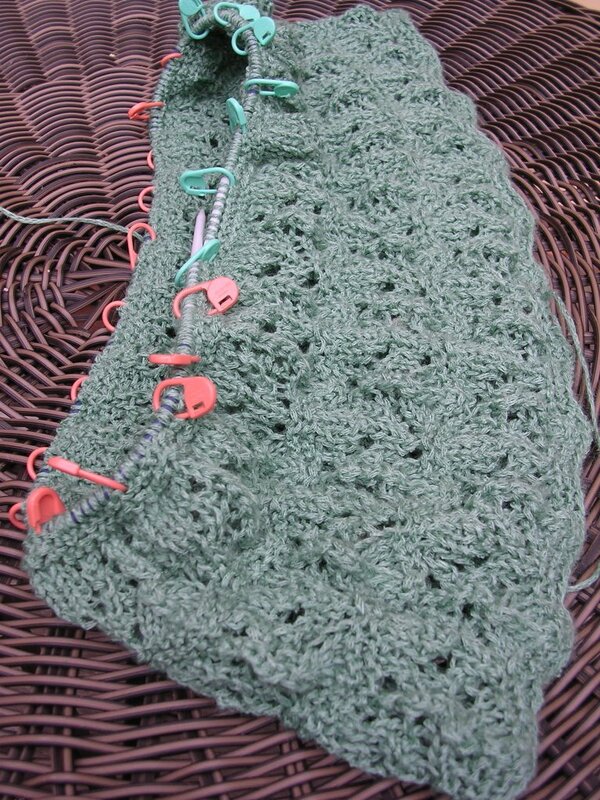 Overall, I am pleased with how it is turning out and love how light the yarn is after knitting with cotton all summer. I knit the 39" size, added 1.5" to the stockinette portion, but didn't add a 5th lace repeat. I had approximately, 1/3 of my 3rd skein left, enough I think to have done a 5th lace repeat if I wished.